Fireboy clean agent fire extinguisher systems are the cleaner, safer and more effective alternative to dry chemical portable fire extinguishers. No residue or powdery mess left behind. No captain or crew response needed to fight a fire. Quicker fire-out time. For over 30 years, Fireboy has been the most trusted name in on-board clean agent fire protection. Fireboy fire systems with HFC-227ea (Heptafluoropropane) clean extinguishing agents are approved for normally occupied spaces are approved for use in European Union nations and many other countries due to its zero-ozone depleting properties. 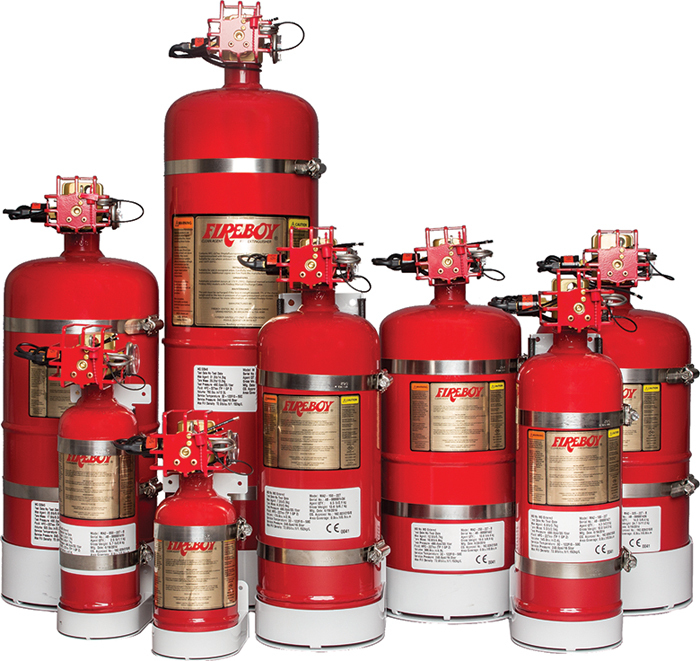 HFC-227ea is considered a suitable Halon replacement agent under the EPA's SNAP program. Approved for Class B fires. When 175°F (79°C) is reached, the extinguisher will automatically discharge, releasing the clean agent gas to totally flood the entire space, smothering the fire. The MA2 Series allows for an optional manual discharge when used with a Fireboy Manual Discharge Cable (sold separately). In addition to the peace of mind that comes from installing a Fireboy system, many insurance providers offer a discount for boaters with an on-board fixed fire extinguisher system. All models are factory rechargeable, except when discharge occurs due to a fire, and are backed by a three-year limited warranty.